Thirteen year-old Miles is short for his age and even his best friend Phelps thinks he's a freak. Miles cares, but he'd still rather spend his sleepless evenings on the mud flats outside his South Puget Sound home, hunting for clams and other sea life to sell to local restaurants and collectors. But when Miles discovers a rare giant sea squid beached at low tide, the world's attention turns to him. Soon, Miles is discovering dozens of rare species and noticing all sorts of unusual changes to the bay. At first, he racks it up to his patient habit of listening and observing, but after so much acclaim, even he begins to wonder if he is somehow prophetic. 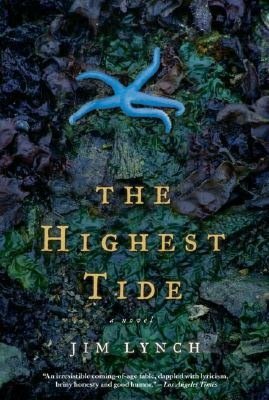 With the unusual sea life intended as an extended metaphor, Lynch's adult book about a boy coming of age in the South Sound is effective and convincing. It combines a little magic with some hard cold rational explanations and mixing Miles's talents for finding rare life forms with his generous and observant behavior towards the adults around him. The narrator (Miles-as-a-grown-up) is more worldly and articulate than Miles would ever have been, but Lynch captures enough of Miles's mannerisms to give the character some authenticity. I'm not a big fan of adult books about adolescence. They tend to be too glib and backhanded in their treatment of childhood transgressions. However, Lynch's writing is strong and the story self-contained and it makes an enjoyable read, even if it is not really YA.